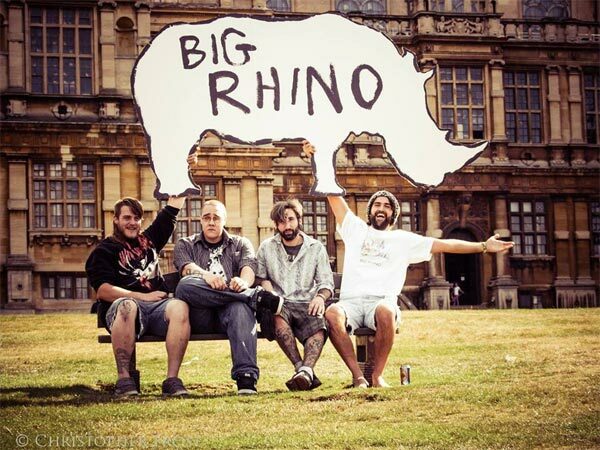 Big Rhino are a rock indie band from Nottingham. This track is also available from their Bandcamp page as part of a three track E.P. called “Turn Around Baby”. It opens up with a lo-fi low volume intro and then develops a slightly laconic laid back bounce with a hint of Paul McCartney in the vocals. Photo taken from the band’s Facebook page. As the song progresses there is a move towards being a bit more rocky, and nice little tempo and volume changes; cramming an amazingly varied selection of moods in a very short three and a half minutes. It culminates in thirty seconds of “way oh ay oh” and “la la la la” that I would imagine most audiences would be singing along to with gusto while waving their pints around and jumping about. And that is going to please the landlord no end as they will have to buy more beer to replace what they have spilled. Yep, I really like this, and will almost certainly check out more of Big Rhino in the future. Pop over to their Facebook page and give them a LIKE if you enjoy the tracks.